Anheuser-Busch said Wednesday it will debut five new ads during the Super Bowl XLVIII broadcast on Fox on Sunday, Feb. 2. Ads for both Bud Light and Budweiser will appear in the game. The company said its in-game ad time would total 3.5 minutes. Super Bowl XLVIII also marks the launch of Bud Light’s new creative campaign, “The Perfect Beer for Whatever Happens.” The campaign kicks off with two corresponding “Epic Night” units -- totaling 90 seconds and telling one cohesive story across two ad blocks -- featuring top celebrities when they are least expected. 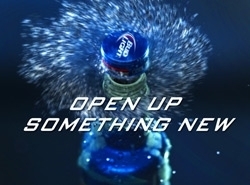 The Bud Light “Epic Night” spots were created by BBDO. "The Perfect Beer for Whatever Happens’ will be the most robust and digitally integrated campaign in Bud Light history,” said Rob McCarthy, vice president, Bud Light. AKQA is the lead agency for Bud Light digital. The company will also use the game to debut the new Bud Light reclosable aluminum bottle with a 30-second spot titled “So Cool.” The ad, which will air immediately after the game ends, will feature the world debut of a new song from an undisclosed recording artist. The spot was created by Cannonball. “The Budweiser Clydesdales are an icon of the brand and have become an icon of the Super Bowl as well,” said Brian Perkins, vice president, Budweiser. The Clydesdales will also be featured in “Puppy Love,” which continues the story of 2013’s celebrated “Brotherhood” spot and focuses on the connections that animals share with one another at Warm Springs Ranch, Budweiser’s Clydesdale breeding ranch. The ad features Don Jeanes reprising his role as Budweiser Clydesdale trainer and introduces a 10-week old puppy that forges a bond with the Clydesdales and through tenacity, ultimately earns a place on the team. The creative agency for these spots is Anomaly, with AKQA as the lead agency for Budweiser digital.